My name is Ken Greenfield. I have been teaching beginner, intermediate and advanced intermediate players since the mid 1970s. I have taught tennis in Ct and NY. For the past 14 years I have taught for both Dave Kardas and Greg Sansonetti both of whom operate Fairfield County tennis. I have also taught in Mt Pleasant , NY and New York City in various tennis various tennisp programs. I grew up in Danbury Ct and was #1 player for Danbury HS in the early 1970s. As a result, I became very familiar with fairfield county as our matches were played in all the Fairfield County towns. In 1975, I won the Danbury men’s singles title. In the 1990s I won many doubles titles along with a couple singles titles at the club I belonged to at the time, Twin Oaks in Chappaqua, NY. 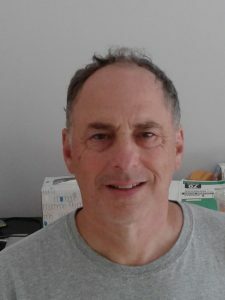 In 1993, I decided to further my tennis knowledge and teaching techniques and became a certified USPTR (United States Professional Tennis Registry – most recently changed to PTR) tennis instructor. This gave me invaluable and useful tennis education and training to help tennis students at any level. I believe that 3 of the most important qualities of a tennis instructor are; 1) being creative, 2) making the lesson fun for the student(s) and 3) providing encouragement and positive feedback throughout the lesson. I have incorporated these qualities into my teaching and enjoy seeing my students make progress. I have recently completed my 3rd summer at OGRCC (a site in Fairfield) and look forward to next summer`s tennis camp. In the meantime, have a wonderful rest of summer.